“My childhood dreams have come true. Moreover, given the vigour and youth of the foundation and of its members, I am sure we will be around for a long time to come." “I have had a fascination with Egyptian civilization since I was at school; fascinated by its mysteries, I have spent many hours reading books and documents, I have travelled countless times to Egypt, and due to its influence I have experienced some of the happiest moments of my life. I have had the privilege of acquiring many archaeological pieces of great beauty, which are now on display at the [...] Museum. My childhood dreams have come true. Moreover, given the vigour and youth of the foundation and of its members, I am sure we will be around for a long time to come." 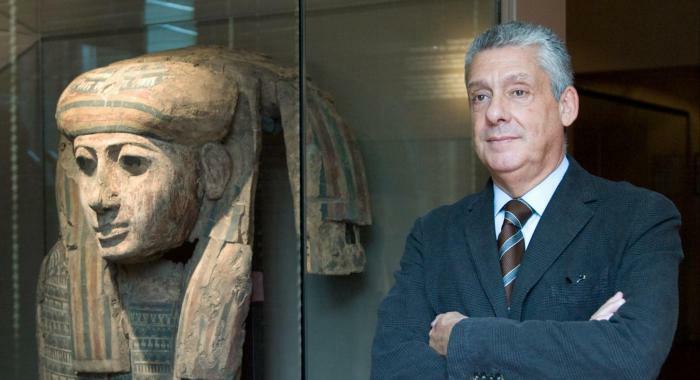 It was on 11 June 1992 that Jordi Clos unveiled part of his Egyptian archaeological collection in an exhibition room of what was then the newly-inaugurated Hotel Claris. That exhibit consisted of a selection of 70 pieces in the collection that he had started with the purchase of a terracotta ushebti from an antique dealer in Luxor in 1975, and which he had expanded over the course of almost twenty years. It was an innovative idea, based on the desire to offer guests a unique proposition, that made the dream of an entrepreneur and lover of art a reality. From that moment onwards, Hotel Claris stimulated interest both in the new concept of luxury hospitality and the Egyptian Museum within: queues to visit the museum on the corner of Calle Valencia and Pau Claris grew longer, demonstrating the void that this small museum filled in the city of Barcelona. In 1992, the Arqueològica Clos Foundation was created entirely with funds from the private sector to help disseminate culture and art from ancient times, in particular ancient Egypt. The Egyptian Museum of Barcelona opened on Rambla de Catalunya on 23 March 1994, becoming the first monographic museum with a focus on the pharaohs in Spain. In 2000, the Egyptian Museum of Barcelona moved to a new site to increase the number of exhibition areas so that visitors could see a large number of pieces that until then had not been on public display. With more space for displays, there was also an increase in the number and variety of cultural offerings. 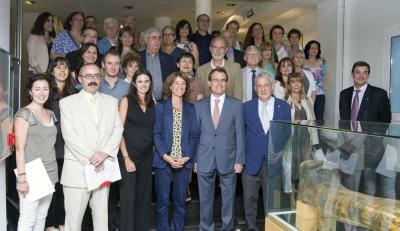 Today, the Egyptian Museum of Barcelona is the distinctive symbol of the Clos Archaeological Foundation, an institution that acts as a driving force through the number of activities that it organises: temporary exhibits, guided tours, dramatised evening tours, training courses, workshops for children and young adults, cultural expeditions and archaeological missions. In April 2002, the Foundation inaugurated the facilities of the Archaeology Campus in Palau-solità i Plegamans, 20km from Barcelona. The campus is an open-air space comprised of faithful replicas of Egyptian archaeological sites that introduces students of all ages to the discipline of archaeology. The Foundation is self-financing and operates on contributions from individuals and private businesses with a strong commitment to corporate social responsibility. 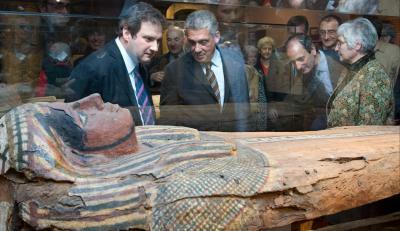 The Clos Archaeological Foundation and the Egyptian Museum of Barcelona continue to grow both in terms of the number of pieces on display and the number of visitors and activities: more than two million people have visited our facilities, a number that has served as the most powerful incentive to continue with a project that Clos Archaeological Foundation had set itself from the outset.